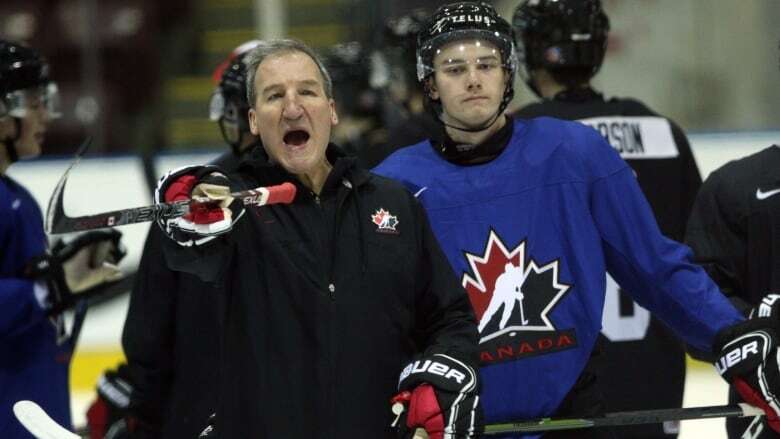 Team Canada coach Tim Hunter says the team that looks to defend its world junior hockey title over the Christmas season will be one of the fastest ever. Hunter said he expects to see speed and more speed after the squad's had its first skate Tuesday at the short selection camp. He said the team that will play in high gear for 60 minutes. "The hallmark, and the way we're going to play, our identity, is going to be fast hockey," Hunter said. "Speed, with and without the puck, and we're going to try to be one of the fastest junior teams Canada has had." Hunter, the coach of the Western Hockey League's Swift Current Broncos and a former NHL player known for his hard-nosed style, ran an up-tempo first practice where players were constantly moving forward. "It was a track meet out there," he said. "It was fast and that's the way we're going to play. It's exciting." "The buzzword is fast and speed in hockey nowadays," he said. "There's a lot of ways to get there and it's not just skating fast. It's being fast in every aspect of the game." Only two members of Canada's 2018 gold medal team, forwards Alex Formenton and Maxine Comtois, are returning this year. "It's going to be a tough decision when we make releases of anybody," he said. "We want those to be hard decisions."